Getting UEFA Super Cup tickets has never been easier than with EasySportsTickets.com! The European Super Cup, best known as the UEFA Super Cup, is an annual football game between the reigning UEFA League champions. 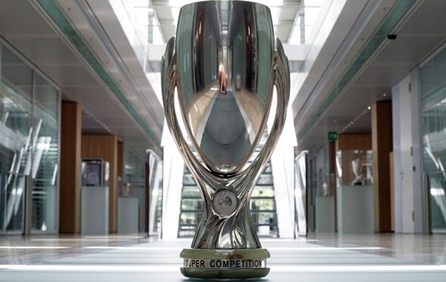 UEFA Super Cup Events have been taking place in August since 1972. Since 1998, the game has been played at Stade Louis II in Monaco – which seats 18,500. Longtime football fans already know that EasySportsTickets.com is the only place that guarantees that when you buy UEFA Super Cup tickets you get both premium seats, as well as the best value for money. Getting your UEFA Super Cup tickets has never been easier, so why wait any longer? Click here and buy UEFA Super Cup tickets today!